J Varey. 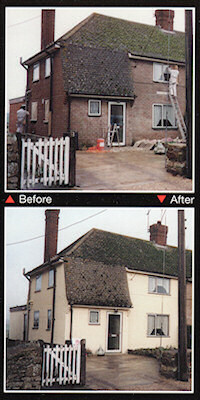 Swindon & Doncaster UPVC Installers & Fitters. 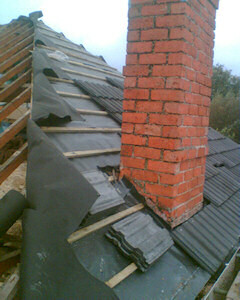 Roof Repairs, Installation and Fitting & Mobile Home Refurbishments. 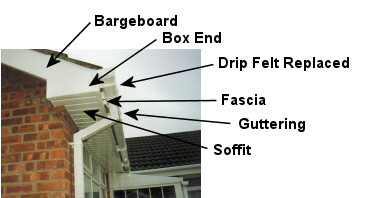 Soffits, Cladding, Fascia and Gutter Cleaning - Exterior Painting. Doncaster, Swindon, Brigg and Hinckley. 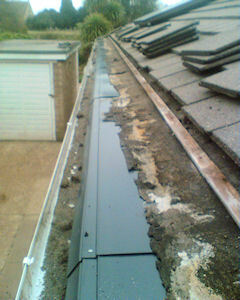 Have you though about having your property weatherproofed against the damaging effects of Sun, Acid Rain, Frost and Snow? A Textured Masonry treatment protects and enhances the external walls of your home. 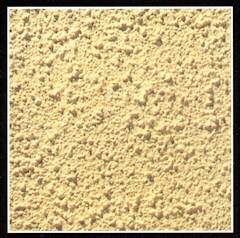 Applied by specialists the Textured Masonry treatment eliminates the need for frequent re-painting. Thicker that conventional paint, the textured finish helps obliterate surface imperfections and minimise repair or restoration work to ensure uniform results that last. 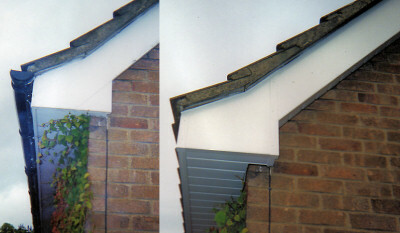 Resists rain penetration while allowing the walls of the home to breathe, reducing problems such as cracking, spalling and declamation. 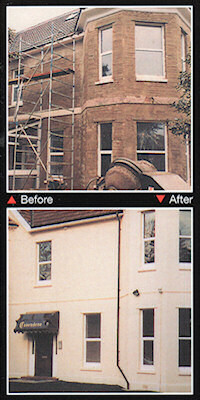 Masking Up: Protection of doors, windows, paths and surrounding areas. 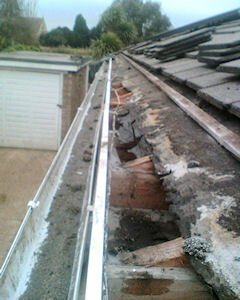 Preparation: Removal of all dirt, mould, algae and loose paint, treat with biocide where appropriate. 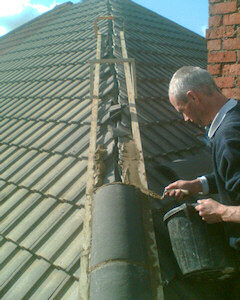 Restoration & Repair Work: Repair damaged and worn surfaces. Primer or Slushcoat: A high performance base coat is applied. 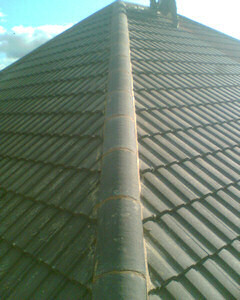 Application: A minimum of 1.2 litres is applied to every square metre. 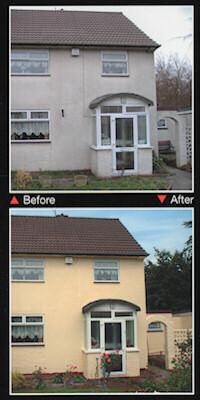 All Painting and Decorating work undertaken.